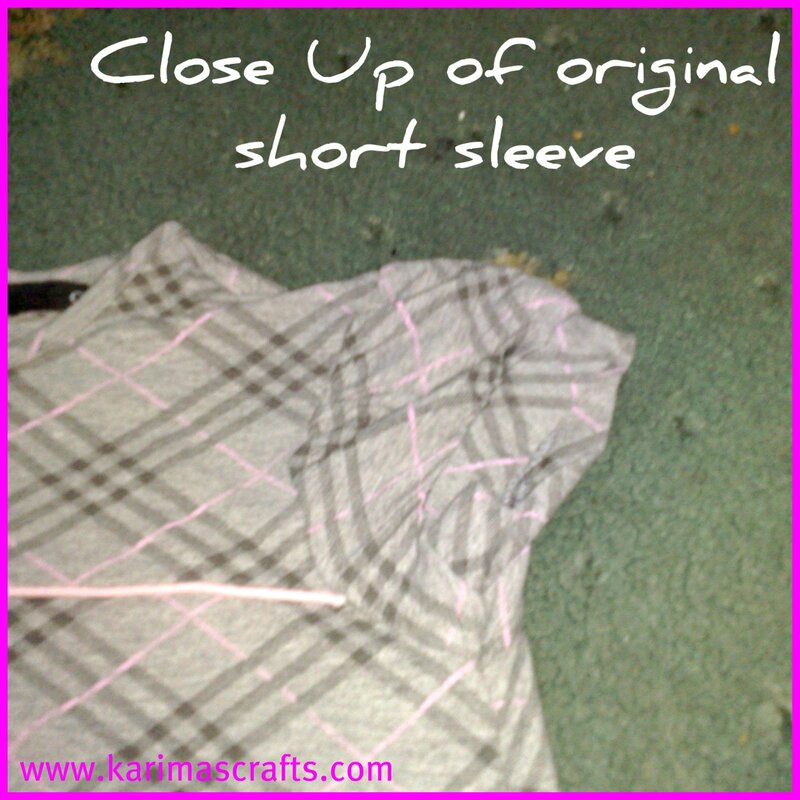 Here is how I made a short sleeved top into a long sleeved top. 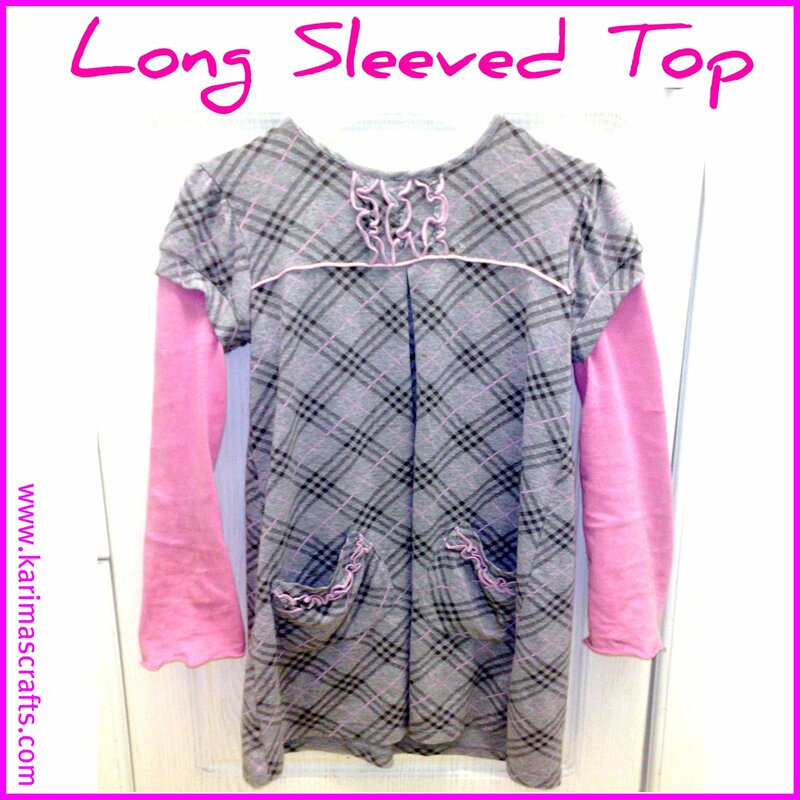 My daughter had a lovely top that she loved to wear, but being short sleeved, she always wore another top underneath. I know it has been cold lately, but for in the house, she didn’t need to wear two tops. I decided that I would have a go at adding some sleeves to the top, so that she didn't have to wear two layers of clothing. I have visited other peoples sites where they have done this and they have said it is quite easy. But, I was wary as I had never done this before. The photo opposite shows how the original sleeves on the top had looked like. 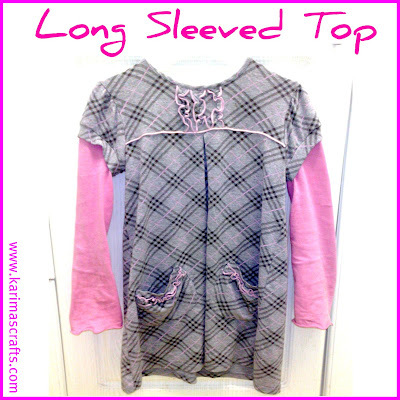 My daughter had a pink sleeved top which had a picture on the front, which was a bit weathered and she no longer wore. This matched the shade of pink that was on the dress. Luckily the sleeves on this top were in perfect condition. I followed the basic instructions from some online tutorials and managed to accomplish it without much difficulty.